Did you know that the features of your monthly period can actually tell you a lot about your state of health? No? Well, Traditional Chinese Medicine (TCM) recognizes this release of bodily fluids as a tremendous source of information as to what is going on in your body and energy systems. By keeping track of the cycle, as well as noting what the blood is actually like, a woman can find out a whole load of useful information and from that information she can correct any imbalances in her system. 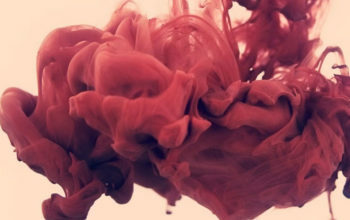 How do I know what my blood looks like, you might be wondering. 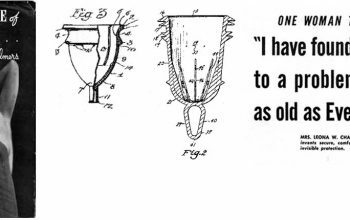 Well of course this involves a little looking in the toilet bowl, or better still using a menstrual cup. 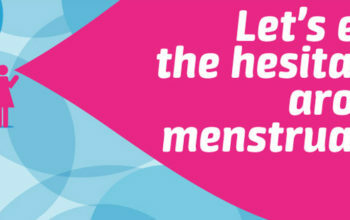 A menstrual cup is a device that catches the blood, and after emptying the cup you re-use it. 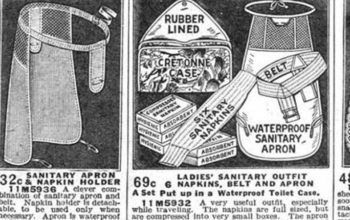 It is popular by those who are concerned about the chemicals inside tampons, and many women report that their cycle actually improves (gets lighter and less painful) after using a cup. Plus there are financial savings as you reuse the same cup month after month. 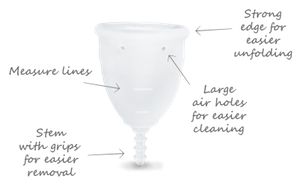 But from the TCM Chinese Medicine point of view (born out of Taoist philosophy and practices), the menstrual cup is great because you can actually have a glance at your blood and see the colour, thickness and other features that give you useful information. So there a few things to look out for. Please remember that in TCM Diagnostics, one sign is not enough to draw a conclusion, but it lets us know what to look out for elsewhere in our health. 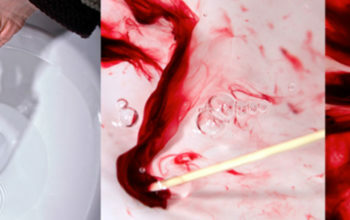 Also if you are not used to looking at your blood, you may not be sure what is “normal”. So get into the habit of looking each month so you can use it as an indicator of how your health is. Please don’t panic at any sign! This is not for diagnosis of any disease, but more of an indication of your inner state of balance. check out if you have heat in your system. Is your diet full of thick spicy food? Are your cheeks flushed and mouth dry? If so, cool down by avoiding spicy foods and taking some cooling fruits and mint tea. you may have been doing special practices to make a lighter period (found in Tao Tantra). But if you have not done these and the blood becomes scanty, then check you are not too cold, or eating excessive cold foods (eg. Raw food in winter, or eating ice cream and other cold foods). There may be blood deficiency if you feel weak in general and you might need a nice mineral-rich nourishing diet. can be a sign of too much heat so check for other signs of heat in your body and diet and make adjustments (as above). if your blood is paler than usual then you may have a slight blood deficiency. How robust and vital do you feel? If you feel weak you can build blood with focus on nourishment. Some women even need more protein in their diet. can indicate an inner stasis, meaning energy or blood is a bit stuck. How is your circulation? Check extremities like hands and feet for coldness, tingling or numbness. Do you get a lot of stabbing pain in the sacrum or other areas around your period? If you do have signs then there are dietary methods to help. However it is best to find a health care practitioner such as an acupuncturist, who can help get things flowing for you. A simple qigong remedy is to gently tap your sacrum bone with light fists, breathing deeply into the pelvic area. this can be something the Taoists call “empty heat”. This means that there is not enough fluidity, calmness and rest (“yin”) in your body to balance the heat. Drinking more water, eating cooling and fluid foods (soups are superb) can help. But getting rest, peace, aloneness and early nights are essential! Walks in nature also help build the “yin”. this again tends to be due to stasis or cold. 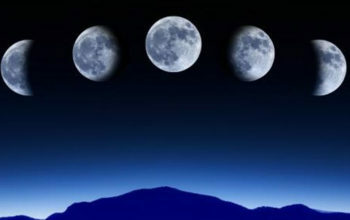 Check as above for signs of coldness or stuck energy. Warm ginger foot baths (a washing up tub full of hot water with finely chopped fresh ginger in it) is great for this and can be enjoyed for 30 minutes during your period.
. That sounds complicated but it’s quite common, and is related to feeling moody/frustrated before periods come and sometimes tender breasts. Release any blocked emotions by dancing wildly (e.g. five rhythms classes) or shaking to upbeat music. Moving stuck emotions in this way is great to shift blocked liver qi. You may also find out about liver/gall bladder cleanses and consider doing one. there may be deficiency of blood or “yin”. Make sure you are nourishing yourself on all levels: food and activities. Think about what nourishes you (a hot bath? A walk in the woods?) and give yourself that gift. Many women associate periods with pain and emotional suffering, but actually Taoist wisdom and TCM say that a period should not have to be suffering. Pain, especially if stabbing, is associated with stuck energy. Stuckness is best moved by exercise, dance and safe emotional release. If there is no class or workshop accessible to you, then close your bedroom door, put on music that makes you want to dance, and have a wild dance in your bedroom! Afterwards sit still and breathe deeply, close your eyes and observe the aliveness in your body for five minutes. Like many things in life, a little awareness and some wise rebalancing can create a state of harmony in which your periods become light, regular and even a great time for release and rest. If you wish to find out more, find a local Tao Tantric facilitator to teach you some practices to harmonize your energy flow. Let your period become a blessing (not a curse!) and a source of wisdom and insight! Author of this article: Shashi Solluna facilitates Tao Tantric Arts, including a one-month training for women. She has been working in the field for more than ten years and specialises in sexual health, vitality and openness.